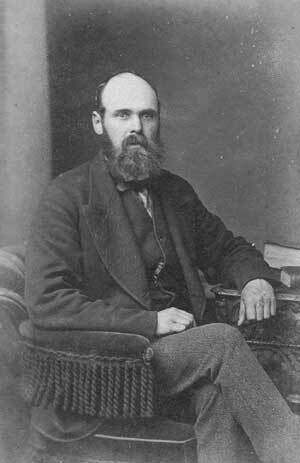 Married: April 26, 1877, Ardstraw Church of Ireland, Co. Tyrone. BIOGRAPHY: Most of what I know about John JACKSON comes from letters written by his mother to his younger brother, the uber-successful Thomas. These letters were primarily focussed on the kind of fly-past update on family matters that produces little snippets of information without context. If that were not bad enough already for poor John (and the picture we can construct of him), his mother was also adamantly opposed to drink while he was seemingly deep in his cups, especially in the latter decade of his life. I have considerable sympathy for him. John’s famous brother Sir Thomas Jackson was a hard act to follow, a predicament made even worse by the fact that Thomas was two years John’s junior and quite obviously his mother’s favourite son to boot. As early as 1873, when their Uncle William Oliver left a legacy in his will, Eliza said in a letter to John’s brother, Thomas: Johnny’s going about home as usual. I fear the legacy will put folly in his head; but you will be at home (D&) before that comes. At the time, John was 34 years old and unmarried and the expectation that his younger brother would be the one to sort things out was not an infrequent thought in his mother’s mind. 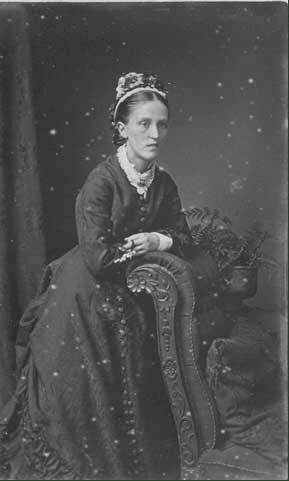 In 1877, at age 37, John married Kate Maria Jane WHITING. She came from an entrepreneurial family who emigrated in 1857 to Australia, but left her behind. One of her younger brothers, Seville Whiting, was the inventor of a motorcycle that showed great promise. Her father and another brother, Charles, worked as photographers in the late 1880s in Victoria, Australia. Why Kate was the only child left behind in Ireland, at age three, when even her one year old brother sailed with his parents is one of those mysteries that we have yet to solve. It seems quite possible that John and Kate first lived at Urker before they secured a place of their own. In a letter from James McCullagh, Derryvalley, to Sarah McCullagh 28 April 1877 "I hope J. Jackson has got a mud wall to bring his bride to for I think they would fight like cats at Urker with so many she's in it." It is hard to say how many others were living at Urker at that time (over and above John’s parents). Of his younger sisters, Elizabeth was already living at Killynure; Margaret was at Slieveroe and Sarah was at Liscalgot (going by where their children were born). Probably his widowed younger sister Mary and her child Mary MENARY would also have been residing at Urker. His brother Andrew was recently married and he and his wife may not have yet moved to Co. Meath where he would subsequently lease land. His youngest (surviving) brother, David at age 22, may also have still been hanging his hat at Urker at this time. By 1880, John’s fortunes seem to be about as good as they would ever be. He had started by working for HM Customs & Excise in Irvingstown, Co. Fermanagh where his wife ran the Post Office and then leased a farm at Brackagh, Co. Tyrone. His mother’s assessment of his prospects at the time was: His crops are good; & if this harvest turns out well, I hope all will be right. He already had three children and three more would come. Unfortunately, the next news that we hear, in 1883, is not so rosy: Ah dear Tom, take warning by me and tell your wife to do so too - never make a favourite of one child above the rest. I did that; and see how I am punished for it. And then in a later letter: Talent signifies little without a blessing; poor Johnny had enough of it; yet he has disappointed us all. I believe that this year’s crop has succeeded better with Johnny than any that went before it; but I fear that his steadiness is not just what we would wish. His wife is a clever little woman, and can manage both farm and house; and he has as lovely little children as you would see anywhere. The word “steadiness” is code for steering clear of drink. Clearly, John had a problem. A year later in 1884, his mother dispaired: Poor Johnny is the only black sheep in the family. I have done a great deal to help him; and I fear it is all thrown away. I told him that anything more I would do; would be for his family, and not for himself. Oh that he had never been married! Yet still I will not lose hope of him. His mother advised her son Thomas that John’s wife had asked that she hold on to her family’s portion of the Christmas gift from Thomas: till she would come here, which she purposes to do, in a few days. Although John’s challenge with drink would neither be the first nor the last time that this would happen in the family, it cost him dearly. It was possibly a contributing factor when in the summer of 1886, at age 46, he died of heart disease and left his wife with 4 children, all under the age of nine. He had been named for a John JACKSON grandfather whose life had also been cut short – in this case at age 37 - so there may also have been a genetic disposition to heart disease at work here – although drink and quite likely the accompanying depression would certainly not have helped. Year later, in 1895, John’s mother would still mourn for the loss of her first born who had shown such initial promise: I never again will be proud of great talent, after seeing how little they did for my poor Johnny. At least, John did not die destitute. According to his will probate, he left effects of £733 11s. 6d. This legacy that he left is at odds with his reputation as a total failure but is also revealing of how sources such as letters can only be trusted so far. We cannot tell from them whether this is what remained after various legacies from other family members or whether it indicates that he also had some level of success (no doubt buttressed by the accomplishments of his wife). One possibility is that his wife’s childless uncle, Francis S. Gordon, may have left them some money when he died in 1882. After all, three years before this uncle’s death, John and his wife named a son “Francis Gordon JACKSON”. NOTE: I have not read Francis S. Gordon's will – only the abstract. After John’s death, life wasn’t easy for Kate and the children – they had to move around a bit until they got settled, but his mother and brothers and sisters were seemingly always there to help. At first, his widow and children lived in 1888 in Dundalk and then in 1895, they moved to Belfast. John's two sons stayed at Urker with their grandmother as his widow set up house. Their grandmother described them as: Very nice, well brought up boys they are. 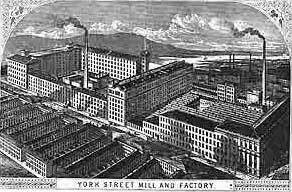 By 1895, his son Francis had a job at the York Street Mill in Belfast (this may have been the cause of the family move to Belfast or else a result of it). Five years later, Francis emigrated to South Africa but it seems that the rest of the family stayed behind in Ireland.